Welcome to Day one of the Blackout book tour. Blackout, though new to the UK, has been published across numerous countries in 15 different languages- which is just astonishing. This is Marc’s debut novel, and I must say, its a brilliant one; a gripping thriller that had me on the edge of my seat from the get go. Although maybe not the most unique, it was executed with perfect precision. Based across several European countries, and multiple points of view, Blackout is the imaginings of what would happen if they continent was to be left without any electricity. No electricity would cause, lack of heating, no running water; and once fuel runs low, lack of transport and back up generating systems. Manzano, an old time Italian hacker, is in Milan at the time of the Blackout; caught in a car accident when the lights go out, he’s intrigued to find out the cause of the lack of electricity. It is then that he finds something interesting that has him catapulted around Europe in search for someone that will listen to his findings. Question is; will he solve who caused the blackout before the whole continent is in riot. Personally I’d never read a thriller like this, based across such a wide setting with multiple side plots; and it was fabulous, had me intensely gripped from the very start I constantly just had to find out what happened. What I loved was the sense of believability. I know, that’s odd to say for such an extreme event, but the way each of the characters reacted I understood- I could think of their situation and the way in which they reacted to survive made sense, not just extreme for the sake of entertainment and fiction. I thought it was great that it showed the truth that important government organisations would also be effected in the end, and that people wouldn’t be turning up for work or have access to petrol. I’ve read disaster stories like this before, but they never showed the efforts that would be put into trying to get the power back. This one would regularly revisit characters working at power plants and nuclear power plants. Although not the main story line, the nuclear power turned out to be fascinating, seeing how much they rely on electricity in order to make power as well as to stay safe and controlled. 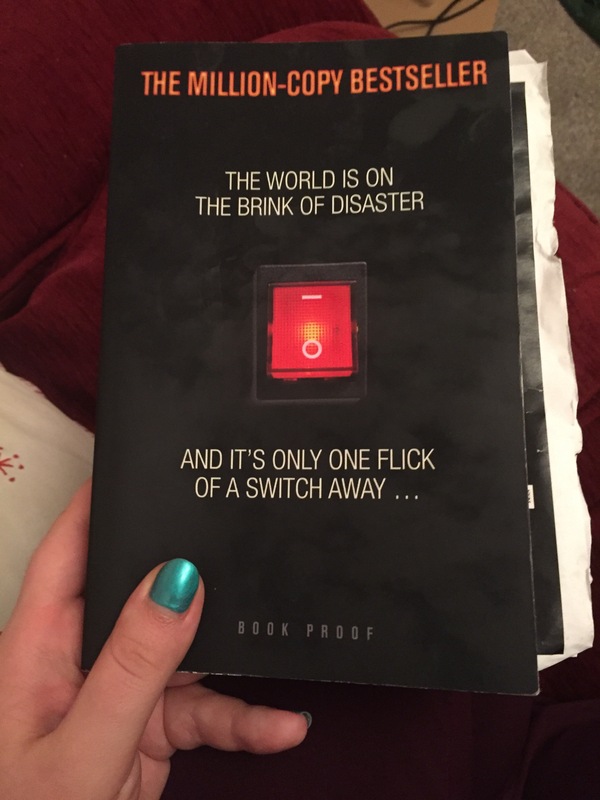 I don’t want to give any spoilers otherwise I could talk about this storyline for ages, as I just loved it- I’d happily read a whole other novel purely on the nuclear reactors and what happened to then after they lost power. In the end I gave this novel 4.5 out of 5 stars. For a debut novel, that has been translated, this was just a beautifully stunning novel, that had me turning page after page just dying to know what was going to happen with each extra day without power. If you love thrillers, or if you just want a fast paced different story to read, I highly recommend you pick this one up. It will become available in stores from 9th of February, so its really not that long to wait. But if that’s too long, then why not pre-order it; also I believe its already possible to get it as an ebook, so you have to wait no longer if you cant wait a week!! I love these type of story lines in both books and tv shows! It’s always interesting to see what would happen to humanity.